Your car battery is certainly an essential component of both your starting system and your car’s charging system. The role of the battery within the charging system is primarily to send an electrical current to your vehicle’s starter in order to allow the car to start up and run. Further to this simple task, your battery also supplies electricity to the many other electrical components in your car. Components such as the radio and CD player, and interior and exterior lights when your vehicle is off are just a couple of important features that are dependent upon your vehicle’s battery. With that said, your battery upkeep and, when necessary, your battery replacement are critical to the overall functionality of your vehicle. Most vehicles use only one battery, but diesel engine vehicles and electric vehicles require two or even more batteries in order to provide sufficient power to their engines and electrical systems. Most vehicle batteries are SLI batteries (starting, lighting and ignition) batteries and, again, are essential components of your vehicle. If your vehicle has no battery, then, as just about anyone knows, the engine cannot start. Understanding the important role the battery plays in your vehicle is reason enough for you to keep a close watch over the condition and strength of your battery life. 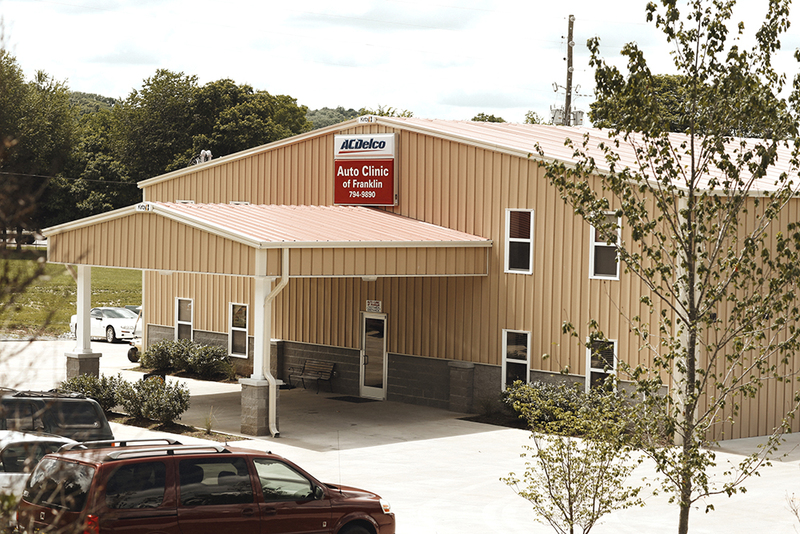 Here at Auto Clinic of Franklin our highly skilled and trained team of certified master mechanics and technicians are committed to providing all our valued clients with the highest quality car repair services Tennessee has to offer. Our professional auto repair technicians possess the experience and know-how to handle any car problems you may find yourself faced with. If you are experiencing issues starting your engine, then surely you can contact our team or come visit us for our specialized battery replacement services. We will test your vehicle to determine if the battery is, in fact, the root cause of the problem and whether or not it is in need of replacement. Keep in mind that though new batteries typically perform quite well for the first 3-5 years, after this span of time they may actually malfunction. Your batter life can be minimized by extreme weather elements or improper maintenance of the battery. Our staff is on hand and equipped to test and determine the overall status of your battery’s lifespan and has the tools to review your battery performance and determine whether a battery replacement is the effective solution to your problems. If we determine that a new battery is in order, rest assured we will take every step to ensure the performance and functionality of your vehicle before it leaves our facility. We will walk you through the replacement process and stand ready to answer any questions or address any concerns you may have about our recommendation to replace your battery. Here at Auto Clinic of Franklin you are our #1 priority which is why you can always trust our advice, our teams, our products and our top-quality services. 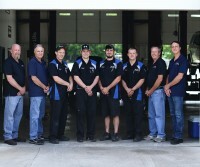 Proudly serving Franklin and many of its surrounding towns, our friendly and professional staff is on hand to take care of your every automotive need. If you are having issues with your car battery and are in need of a battery replacement, or are experiencing any other problems with your vehicle then we are the team for you. Simply give a shout out today and schedule your appointment. Summer is right around the corner and we don’t want you to get caught without your vehicle come time to gather up the family and head on out on your long-awaited summer vacation. Don’t delay. Contact our team today!! 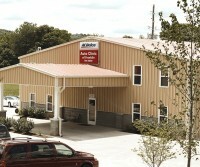 Here at Auto Clinic of Franklin we want to ensure that our clients take ideal care of their vehicles. The best way to avoid any long term costly problems with your vehicle is simply to keep on track with its preventative automotive maintenance schedule. 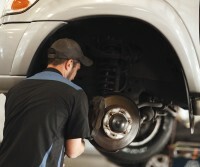 Routine maintenance is vital to the overall performance of your vehicle as well as to its life expectancy. Engaging in routine maintenance provides for optimal driving capabilities and prevents serious automotive issues that can certainly be difficult on your pocketbook. 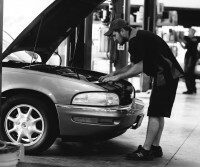 To ensure that you are providing all the necessary routine maintenance for your vehicle, be sure to consult with your vehicle owner’s manual and more specifically with the professionals here at Auto Clinic of Franklin. It doesn’t matter what type of vehicle you own or the year, make or model of the vehicle, it is critical to perform regular maintenance and put a routine schedule in place. That’s where our highly skilled and trained staff and certified technicians comes in. When servicing your vehicle, we will keep adequate records of all services and repairs performed in our efforts to assist you in maintaining accurate routine maintenance records as needed. Though your owner’s manual presents with the ideal preventative automotive maintenance schedule many car owners find it much easier and comforting to simply consult with our friendly professionals. We will keep you apprised of services needed from changing your oil and filters and replacing driving and timing belts to topping off fluids and replacing brake pads to name a few of our routine services. In addition, we provide full vehicle inspections and diagnostic services on all makes and models and are equipped to handle windshield repairs and replacement as well. We are truly a full service automotive repair center that affords our clients the best in preventative automotive maintenance services this side of Franklin. 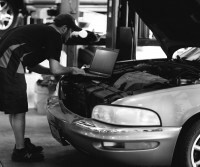 Our highly skilled and trained technicians stand ready to serve you with your every need. There is truly no repair or service project that is too big or too small for our team. With our high level of commitment and dedication, our team remains steadfast in providing superior products and services to all our valued clients. Here at Auto Clinic of Franklin you are our #1 priority which is why we have been billed often as your ‘go to’ place for all your automotive repair and maintenance needs. If you are in need of premier automotive repairs, services, or preventative automotive maintenance then we are the team for you. Take time out now to contact our staff and schedule an appointment today. Spring is here and summer is right around the corner which means that many people will be preparing to do a whole lot of driving and traveling. With that said, we want to ensure the overall functionality of your vehicle and the safety of your family during all those travels. For more information on the services we provide take a browse through the rest of our website and then give a shout out and schedule your repair or preventative automotive maintenance service appointment today. Don’t delay. Summer is almost here so give our team a call today!! Winter is surely in full bloom, which means slippery, even dangerous driving conditions can occur at any time. 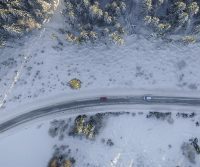 From frigid temperatures and ice, to sleet and snowy conditions, driving in the winter months can certainly present a fair share of challenges. With that said, the professionals here at Auto Clinic of Franklin want to provide all our valued clients with some important tips and insight on safe winter driving. The average driver, regardless of age and years of driving experience, is often unaware of the overall condition of their driving brakes. 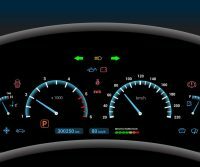 Without automotive knowledge, it is quite understandable how drivers can put themselves in danger without really being aware. 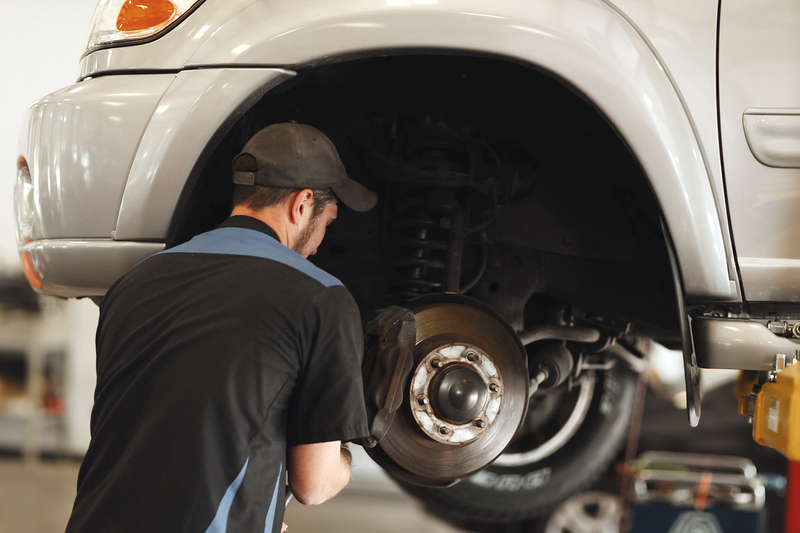 Since the indications that your brakes are coming to the end of their life expectancy can vary, it can be difficult for the average Joe to recognize such signs. 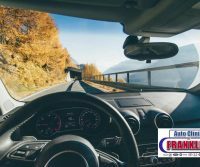 Here at Auto Clinic of Franklin we take tremendous pride in our top of the line Franklin auto repair services and the safety of our many valued clients. With that said we thought it useful to provide you with some insight on when to install new brakes.